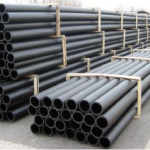 The raw material of Polyethylene (PE) pipes is classified as High Density Polyethylene (HDPE) PE-100 compound with ultra violet (UV) resistant, corrosion resistant and nonconductive. 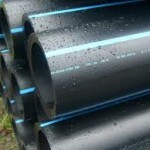 This material are design to withstand the long term pressure with minimum required strength (MRS) 10Mpa, applying safety factor 1,25 with the result that the thinner pipe wall thickness in particular size is progressively less as the change is made and covered the whole range of pressure, this can be significant cost saving. 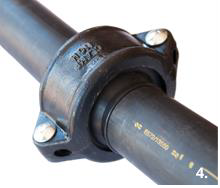 PE-100 material is an excellence balance between 3 (three) main properties: Stress Cracking, Pressure and Impact Resistances, make it safe to install the pipes at severe conditions such as no dig technique or sandless trench installation. 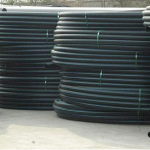 CCSI HDPE pipes are designed to be flexible, lightweight, durable, non-toxic, easy to install and smooth in inner and outer layer with uniform thickness, strong and safe joining systems using thermal fusion or mechanical compression. 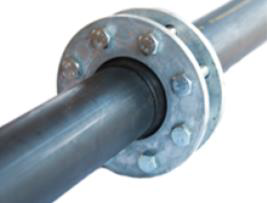 The pipe product application is for water supply and also use in variety installation in the civil, agriculture, municipal, mining and industrial sectors. 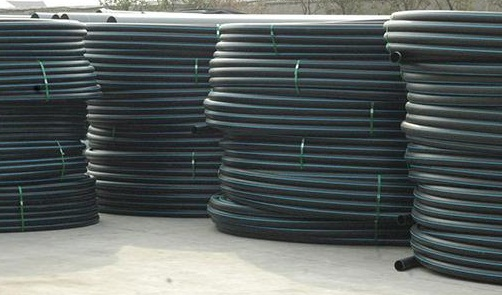 The installation method is recommended for direct underground buried installation by open continuous trenching, other method are possible depending the pipe application. 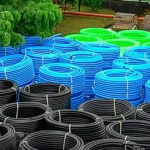 The offered HDPE water pipes complies to the ISO 4427- Plastic Piping Systems (Polyethylene pipes and fittings for water supply) and also refer to the Standard Nasional Indonesia SNI-06 4829-2005 Pipa polietilena untuk air minum. 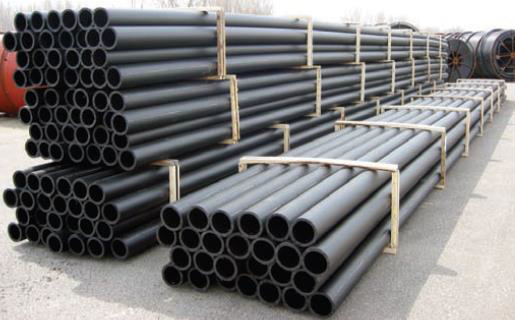 The pipes manufactured in the range of dimension are common in term of Standar Dimension Ratio (SDR), that is mean outside diameter divided by wall thickness. The relationship between SDR and wall thickness if more thinner wall thickness increase SDR and thicker wall thicknes is lower SDR. The advantage of polyethylene pipe is the fact that a wide variety of jointing is available to suit a whole range of application. 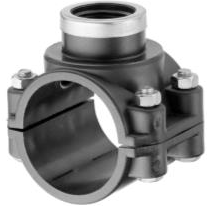 The jointing system can be divided into permanent and detachable jointing. 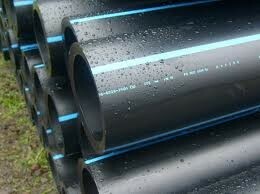 Below the jointing systems are available in CCSI HDPE pipes.